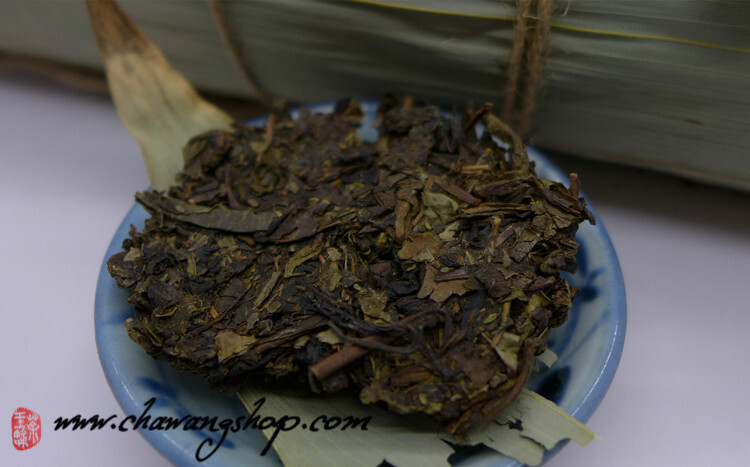 This high grade dark tea is made from 2011 selected organic material and stored one year in the factory before go out. 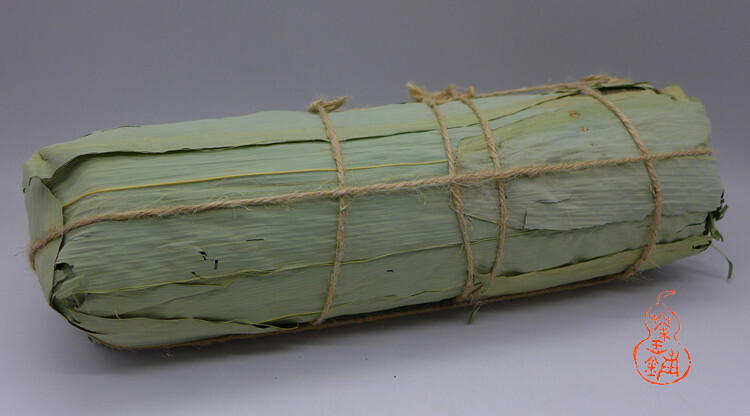 It is entirely made by hand and its craft is very complicated and exquisite. 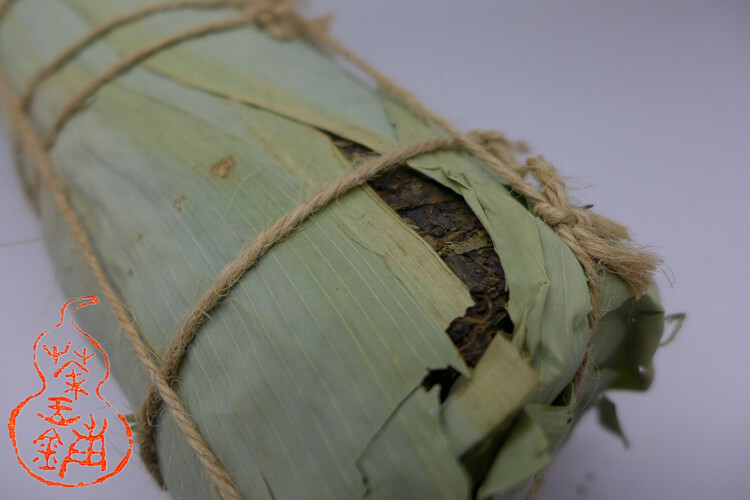 This tea pressed by hand to this form and packed into leaves and cotton pack. 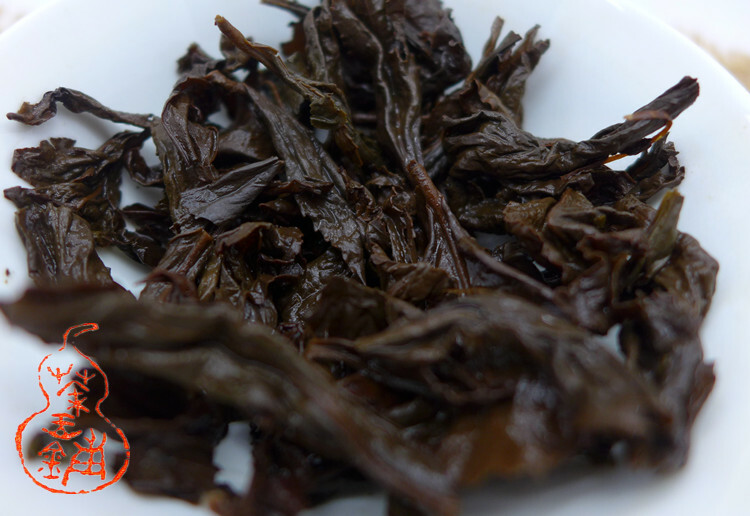 After special processing, fermentation and storage, reproduce "golden flowers" in the tea! This is very prized and interesting tea. People have called it the golden flowers "Jin Hua". 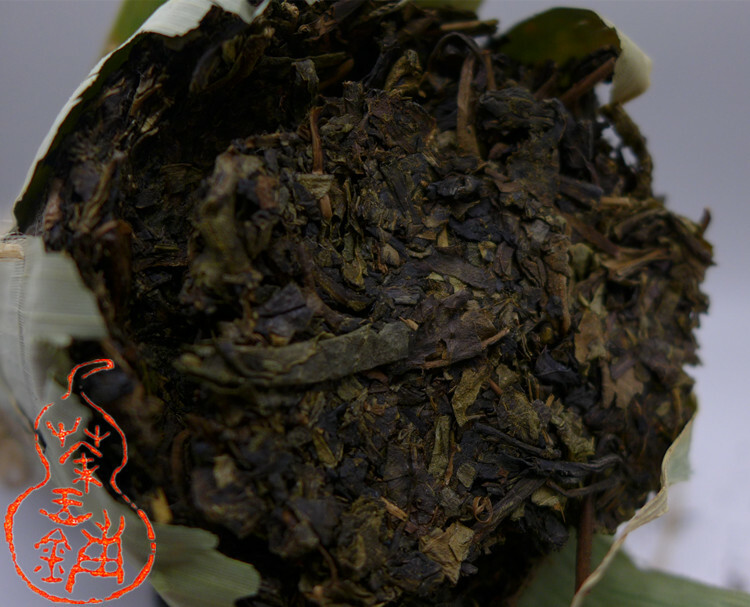 The Aspergillus Cristatus is the dominant germ in the Fuzhuan, contributing to the special quality of the tea. 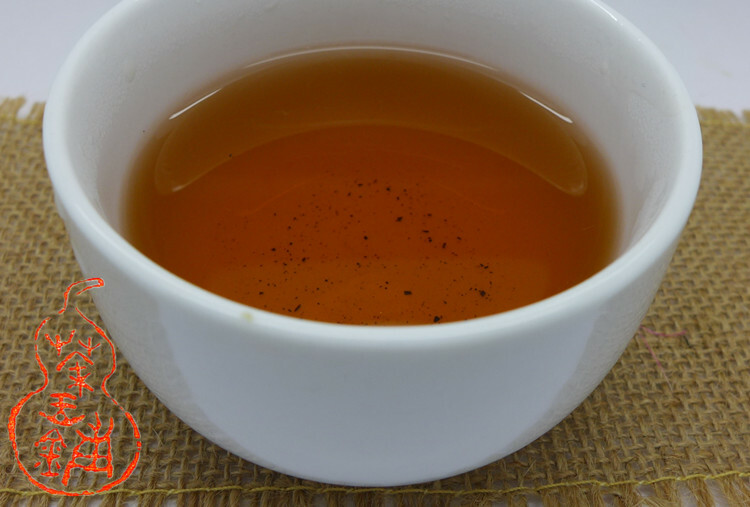 Brewed tea have orange clean color and rich flavour. Sweet and mellow taste, never bitter with long floral aftertaste. This tea is flavoured by the "golden flower" - golden flower give some of original sweet scented for this tea. The taste is richer and multiple.